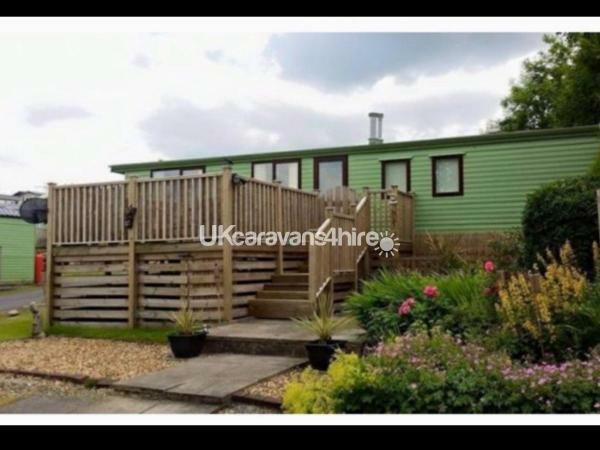 There is a £50 deposit to secure your booking, this will then be used as your security bond which will be returned to you within 5 working days after the caravan has been inspected and the caravan contents are not damaged or missing and that our holiday home is left in the same condition as when you arrived. 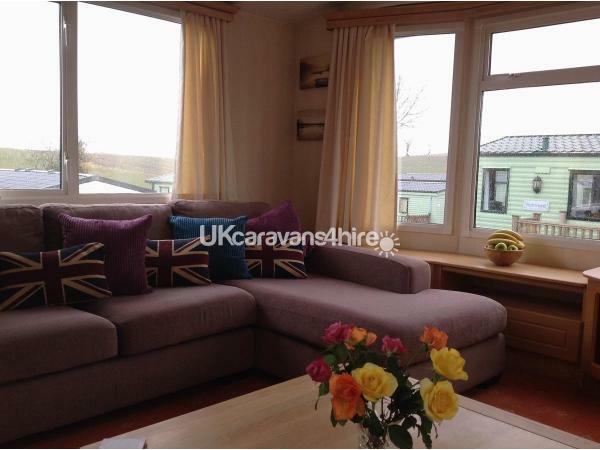 The caravan provides an idyllic view over the surrounding countryside which can be enjoyed from the decked area. Todber Valley is a perfect base for exploring locations such as the Yorkshire Dales and the Lake District. We're located in the heart of the walking and cycling countryside. Or you could enjoy the sanctuary away from everyday life. 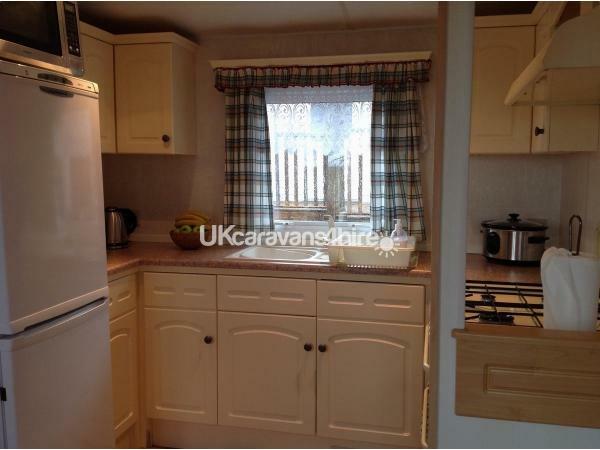 The caravan is well presented with a double and twin bedroom. 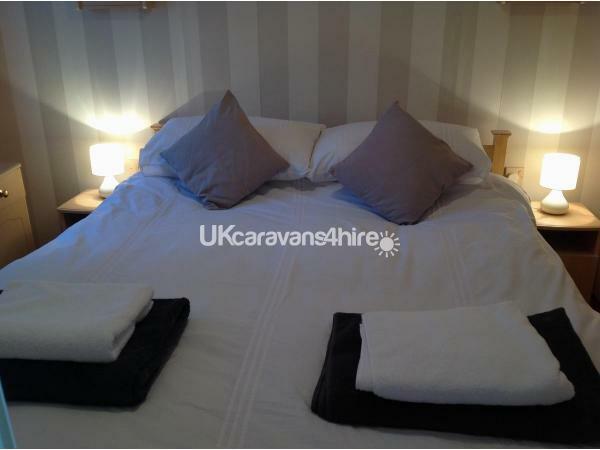 My wife and I had a totally relaxing week the caravan was clean, all bedding and towel etc supplied, the welcome basket was a really nice touch chocolates, wine and fresh flowers. The van is well equipped, slow cooker, microwave, large fridge freezer, full size cooker and all the utensils we needed. We have recommended it to our neighbour, and we hope to return next year once again thank-you so much Alan and Sam Regards Arthur and Annette. Thank you Arthur & Annette. We are so pleased to hear that all was good with your stay. It will be lovely to see you both at Todber again in the future. 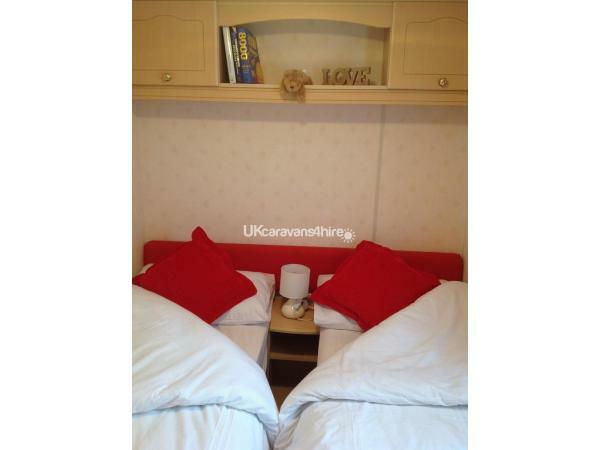 We have just got back from a fantastic short break, the caravan was very clean and comfortable. Upon arrival we were surprised to find a bottle of red wine and a box of chocolates! The TV as a great signal and plenty of channels. The bed is more comfortable than our own bed which is a first for us. On the veranda is great with lovely chairs for outside dining. We will definitely be back. Thanks Sam and Alan. Thank you Ann for your kind words. We are looking forward to seeing you all at Todber again soon. 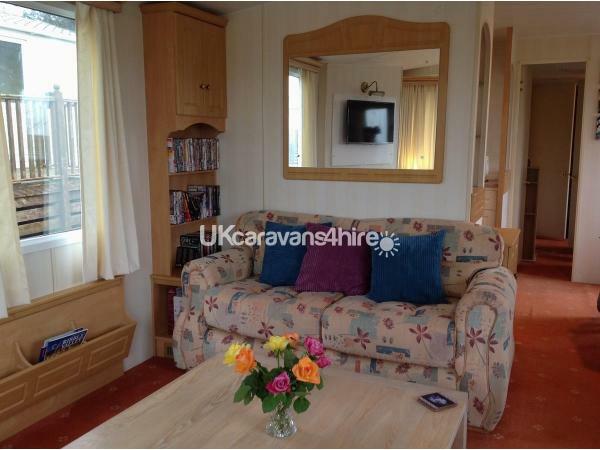 We found the caravan on the website and the e-mail enquiry was answered promptly by Sam & Alan. The Welcome Basket was a really nice touch including wine and chocolates. 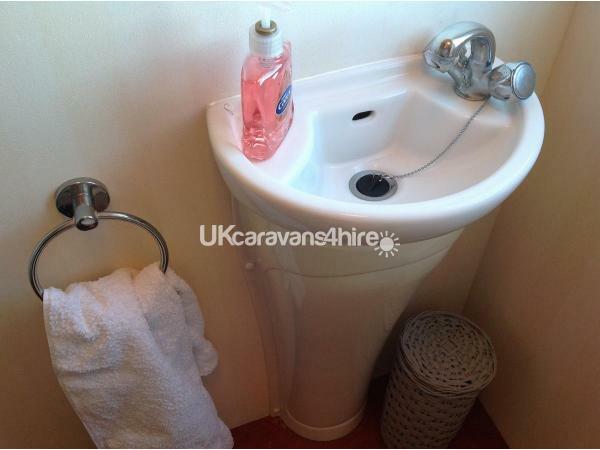 The caravan has all the creature comforts you would expect or need. The enclosed decking area was well used also the table and chairs outdoors. Bedding and towels were provided also. I particularly loved the I-pod and speakr dock loaded with an extensive eclectic array of music!...great to chill with. The caravan park is in a lovely place very quiet.facilities were good with a shop, pub and a play park for children. Staff were extremely helpful and friendly. A lovely stay and have already recommended this caravan to my colleagues. Will definitely be back. Thank you Sam & Alan. Thank you Sue. We are really pleased you enjoyed your stay. I almost don't want to leave a review here as I want to keep this little gem for ourselves but it wouldn't be fair not to share our wonderful experience. 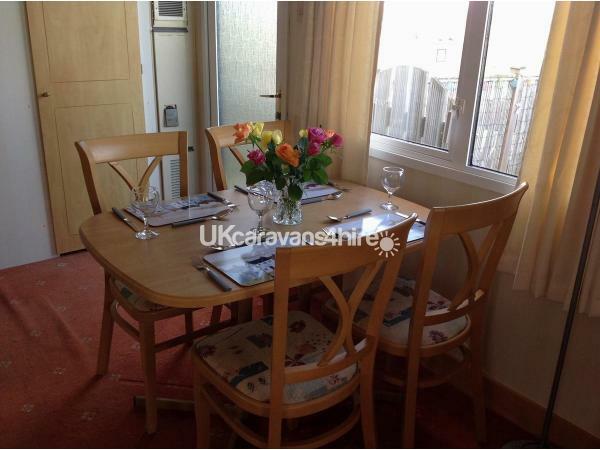 As a family with a young child and a dog, we do book quite a number of caravan holidays throughout the year to take us away from the rush of every day working life and recharge as a family. We've stayed in Wales, Cornwall and the Lake District and we were really not sure what to expect from this area having never visited before... Well, we needn't have worried! From the moment we arrived at the caravan, we had a lovely welcoming basket of wine and chocolates and even sweets for our little one (thank you!). The decking area on the front of the caravan is huge and has a patio set provided, which came in handy with this beautiful weather we're having! Inside the caravan... Everything is thought through here! We arrived armed with the usuals... Washing up liquid, kitchen roll, tea towel, toilet rolls, tea, coffee, sugar etc... Well we didn't need to... You can tell this caravan is well loved and we loved it too! Bed linen and towels are also provided making life so much easier for the guest. The site is a very quiet one with a children's play area, a shop and a pub. We didn't visit the pub as we were there for a chilled weekend but it seemed okay from what we did see. There are plenty of walks in the area including walks along the canal which were lovely. Lots of dog friendly places to eat. The owners, Alan and Sam are an absolute pleasure too. All in all, we couldn't fault it and we look forward to spending many more holidays here. Thank you again! Had a lovely relaxing few days and we were made to feel very welcome. Comfortable "home from home" and we wouldn't hesitate in returning again. The booking process was simple and Alan and Sam were also very helpful. I won't hesitate to recommend. Thank you Alan and Sam. Thank you for your review Carol, it really helps us to build a good customer and service for our customers. Myself and my husband (with Scooby the dog) wanted to visit the Yorkshire Dales and parts of Lancashire and this caravan was ideally situated for that purpose. we wanted to book something last minute due to commitments at home and Sam and Alan were most accommodating, keeping in regular contact with us. 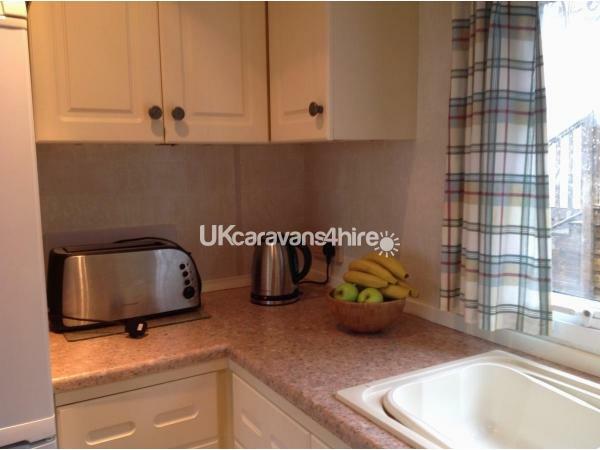 The caravan itself was exceptionally clean, linen and towels provided, as was a lot of other facilities. Lovely decking area outside to sit in. (With table and chairs). The park itself is a fairly quiet park with a bar on site where you can get something to eat and drink. Large walking areas for the dog very close by with stunning views across the Ribble valley at the top of the field. 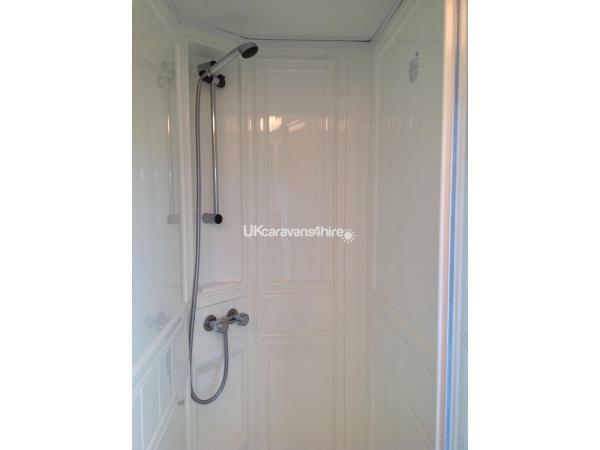 I would highly recommend this caravan for any length of time. Thank you Pam for our review. We really are very lucky to have good customers like yourself who help us to build our business.